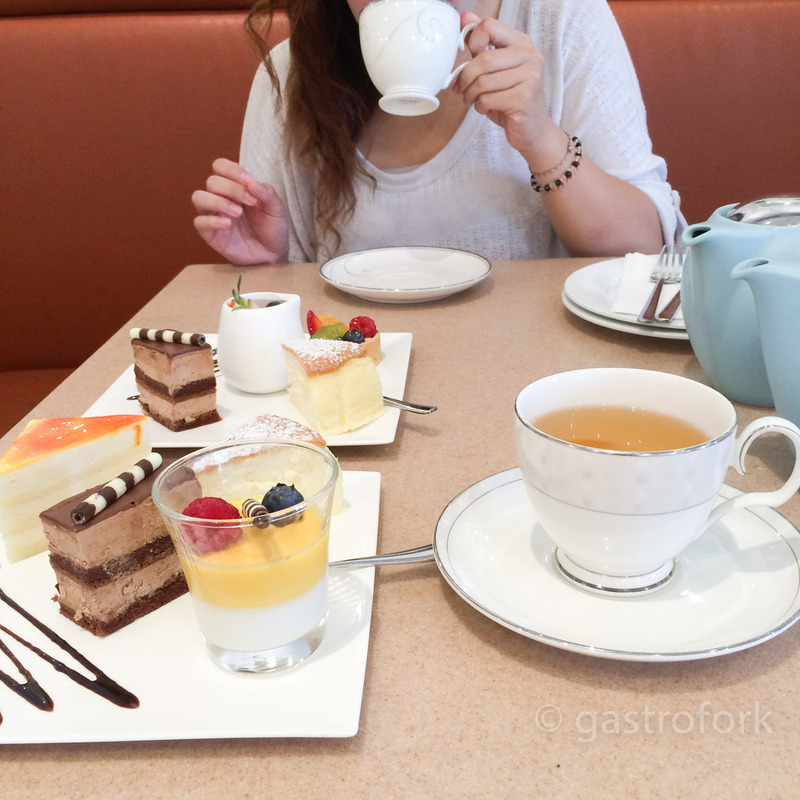 Last week, I was invited to check out Vancouver Foodster’s Tasting Plates. 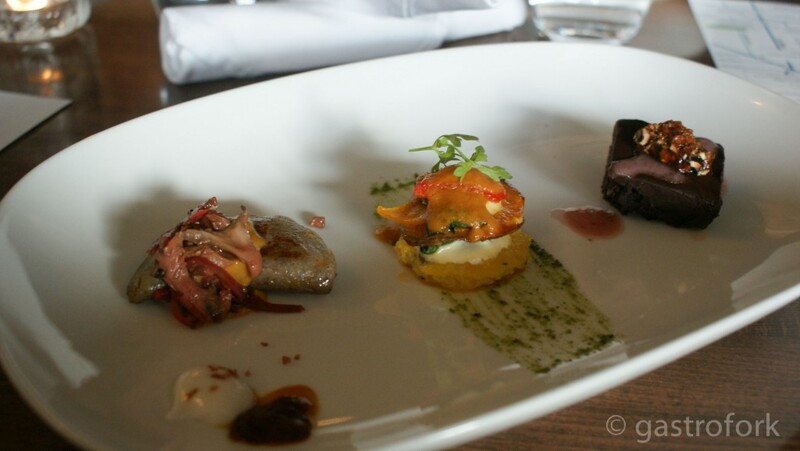 If you’ve never experienced a Tasting Plates event, it’s a one of a kind experience that is taking Vancouver by storm. 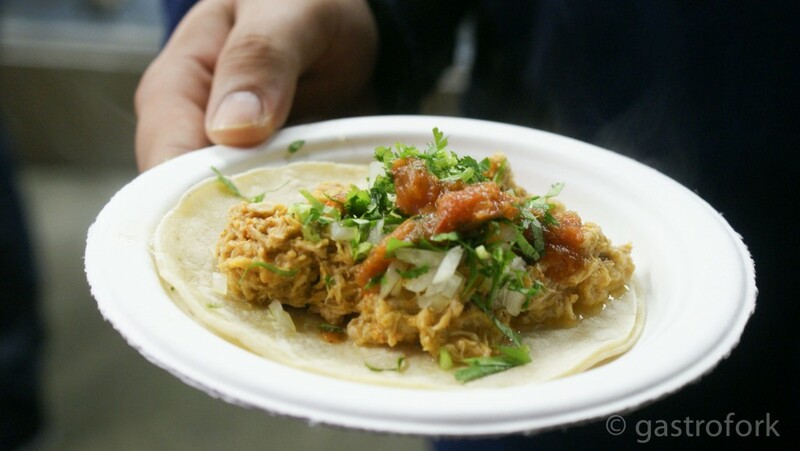 Richard Wolak, better known as Vancouver Foodster has been organizing these events for a while now and he has several coming up in the near future – there is more information at the bottom of the post! What I admire most about Tasting Plates is the fact it deviates from the normal popular restaurants and always contains hidden gems. A majority of the establishments we visited, I would have never thought of visiting (or even knew existed) until the event. So if you were looking to try some hole in the walls but were always afraid to – this event could open up a new world to you. Please note that I was invited by Richard to attend the Fraser Edition of Tasting Plates, my meals were comp’d but all opinions are my own. The way Tasting Plates is set up is everyone starts the same location to pick up a map card, one you will keep with you for the entire event going to restaurants and getting it stamped or signed off. 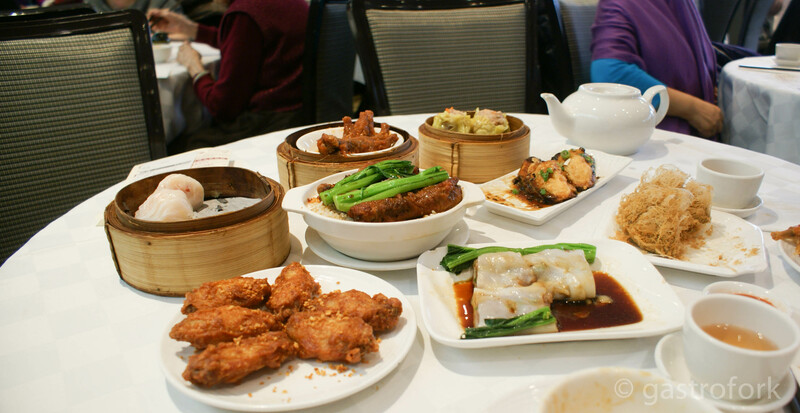 From the first restaurant, you can go to whichever are on the list – you have ample time to go to each place and for the most part, most places can be walked to easily. 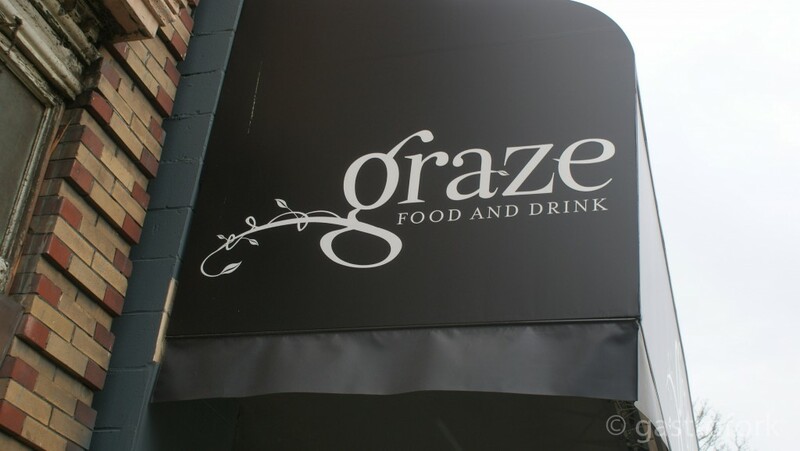 We started off at Graze, a vegetarian restaurant. Our bite sized tasters included: Yam and eggplant perogy with coconut cheddar sauce, shallot confit, oyster mushroom and pickled beet shred, roasted vegetable strata with cashew cream and tomato sauce and a chocolate torte with raspberry rose cream. All bites were lovely with a mixture of interesting ingredients. The Chocolate Torte was nice and decadent. 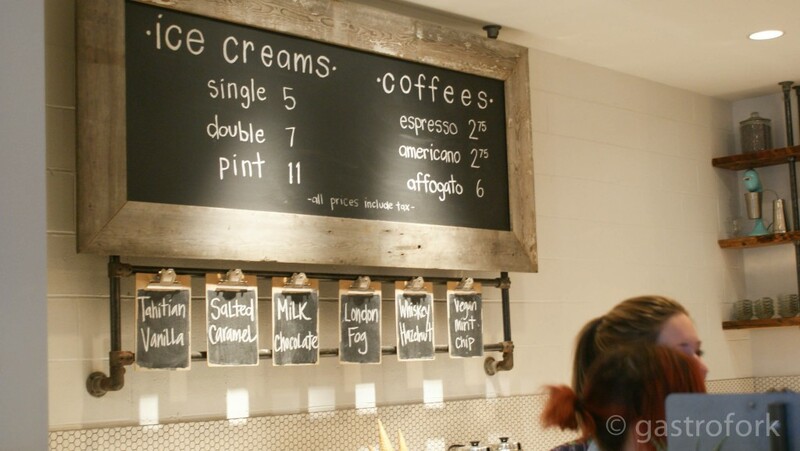 We hopped on over next door to Earnest Ice Cream. 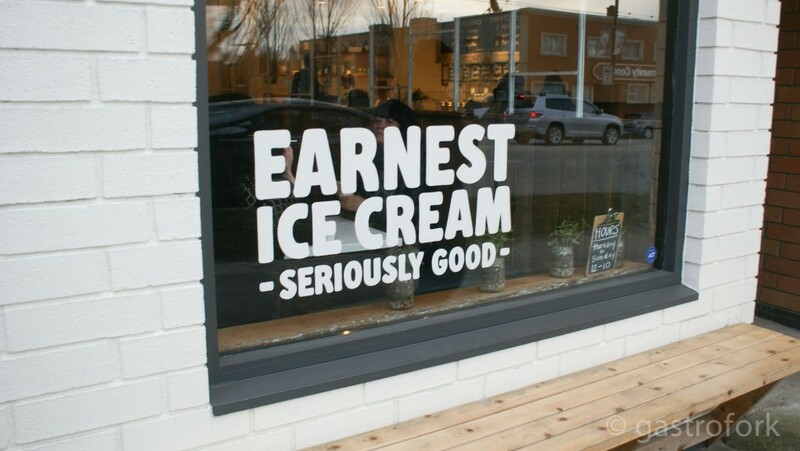 This was my first time at Earnest Ice Cream (tragic, I know!). We were offered either a Tahitian Vanilla or a Vegan Chocolate. 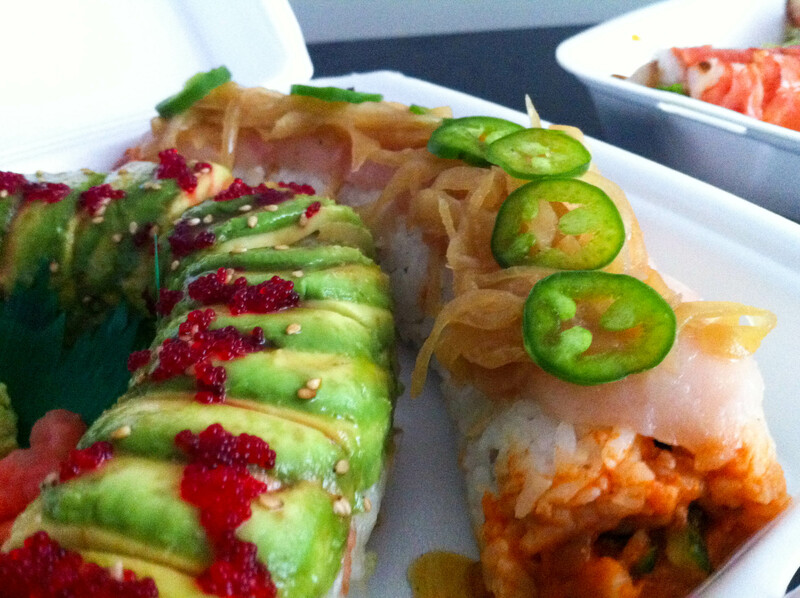 We ordered one of each and split it. I am a lover of all things chocolate and I would have to say for a vegan ice cream, the chocolate is incredibly satisfying and creamy. 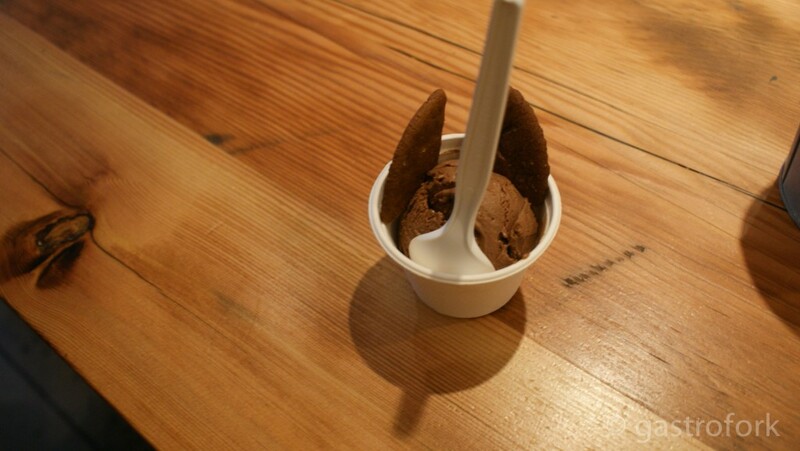 The ice creams are not overly sweet and the chocolate ice cream had a fantastic hint of a coconut. Delicious! Also, their gluten free ginger cookie that’s served alongside is perfect. We crossed the street and walked about a block down over to Pizza Carano and Merienda Bakeshop. Since there was a bit of a wait at Pizza Carano, we decided to hit up Merienda first. I had absolutely no idea that this bakery was here! It is definitely a hole in the wall but they make delicious Filipino pastries. On our plate we had a multitude of delicious items to try: Hopia Mongo, Ube Loaf, Spanish Bread, Buko Pie and Pan de Sal. I am an absolute sucker for Pan de Sal and theirs is well done. I saved the Hopia and Buko Pie for later – and they were really delicious. Not too sweet like most places make them. It almost felt like it was home made with love. 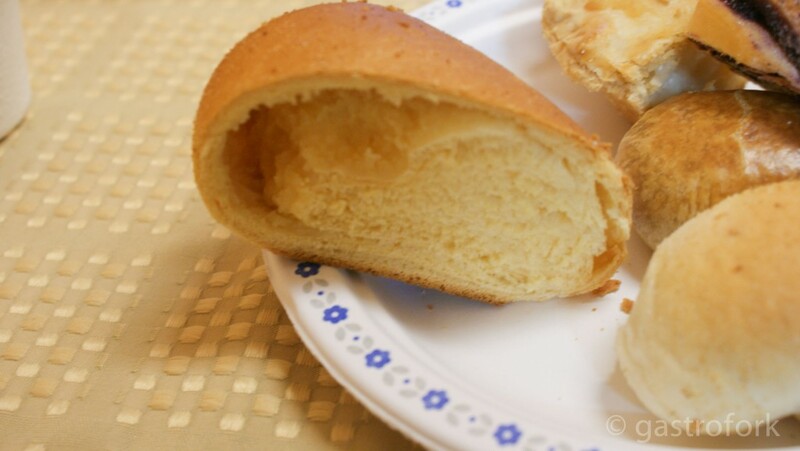 Brian really enjoyed the Spanish Bread which is slightly crispy on the outside but made with condensed milk in the middle leaving it soft, heavy and creamy. Heaven. 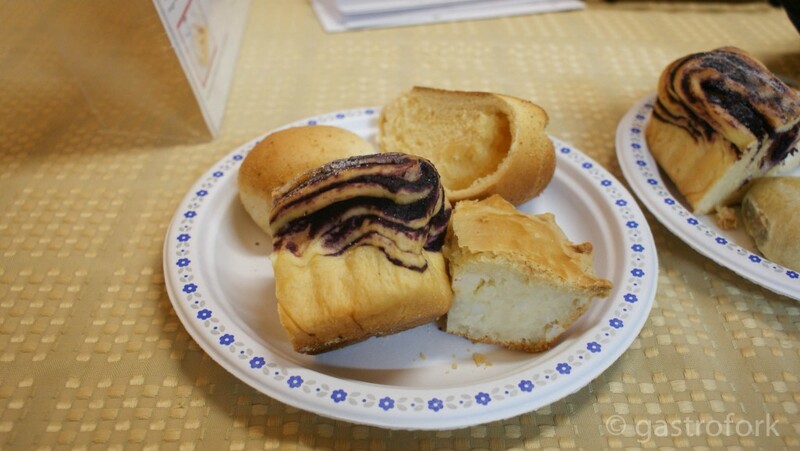 I really enjoyed the Ube loaf here, it was moist, dense and not too sweet. 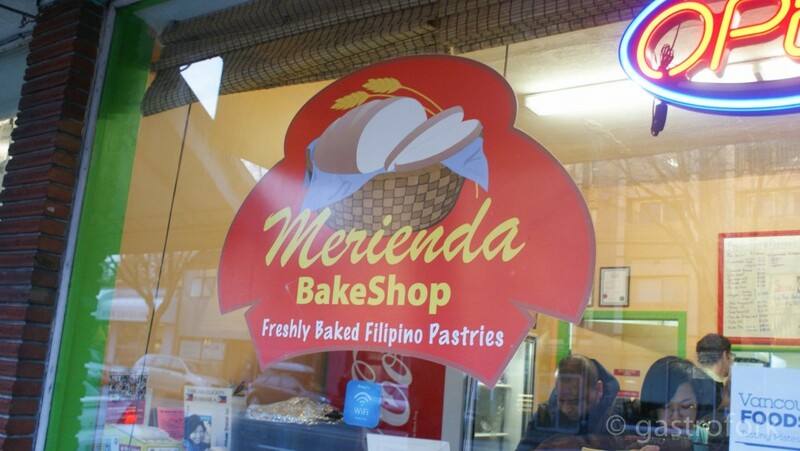 I’ll be coming back here often to pick up some Filipino pastries! 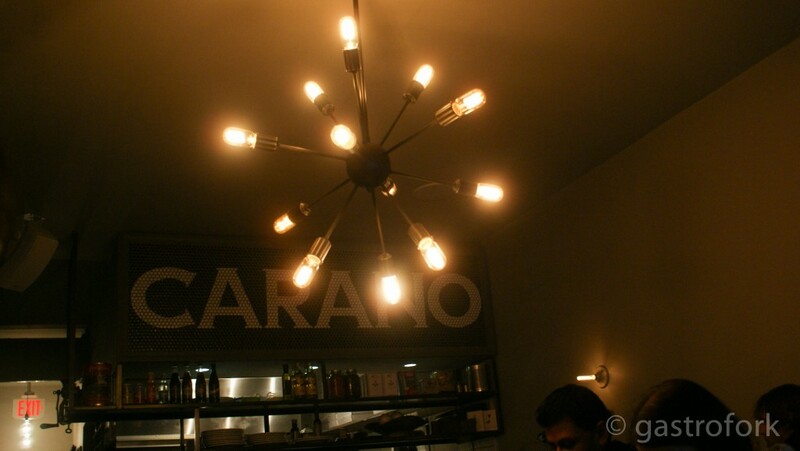 When we were done at Merienda, the line had disappeared from Pizza Carano, so we hopped right in. 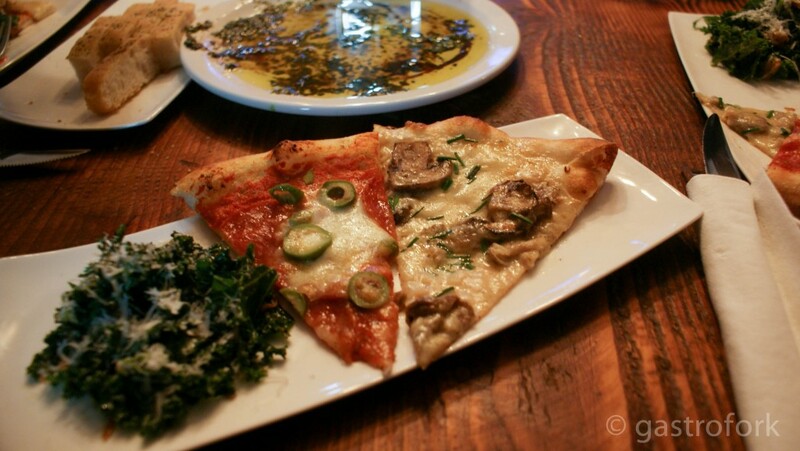 Pizza Carano is fairly new to the neighbourhood and what a perfect addition they are. With modern pizza choices and interesting twists to typical menu items, I’m definitely going to be back here soon for a dinner. We were given a slice of Funghi (White Sauce, Sautéed Gourmet Mix of Mushrooms, Fior di Latte, Chives, Truffle Oil) and Smoked Sopressata (Tomato Sauce, Sopressata, Fior di Latte, Smoked Green Castelvetrano Olives) and a side of kale caesar salad. 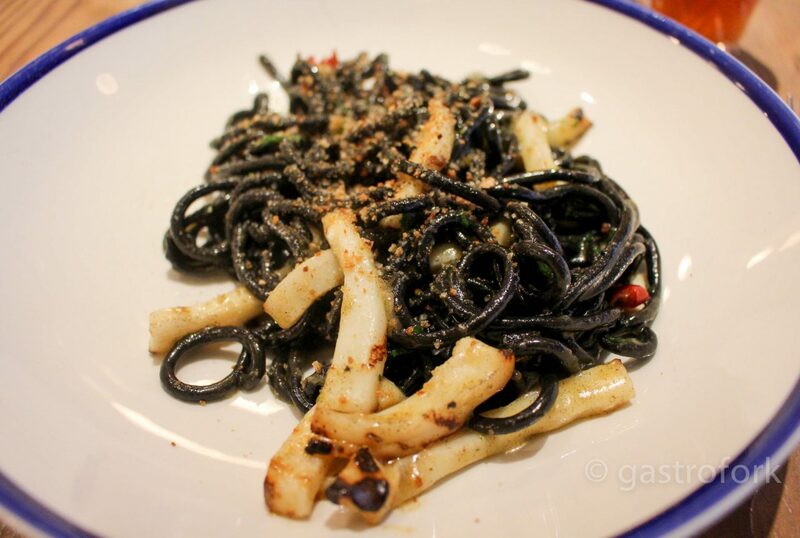 There were no weak links on this dish. I absolutely enjoyed the Funghi pizza (you can never go wrong with truffle oil and mushrooms in my books) and the Smoked Sopressata was perfectly sweet and salty. I also really enjoyed the kale caesar salad, a great taste and twist to a classic. For the last half, we drove back down to Kingsway. 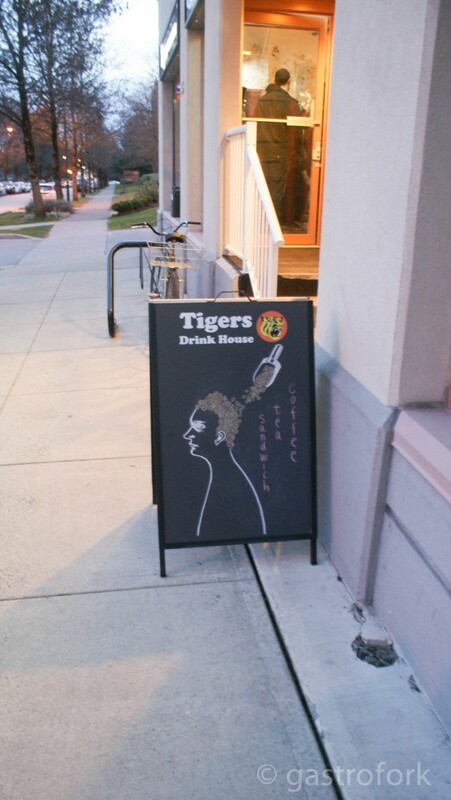 Our first stop was Tigers Drink House. 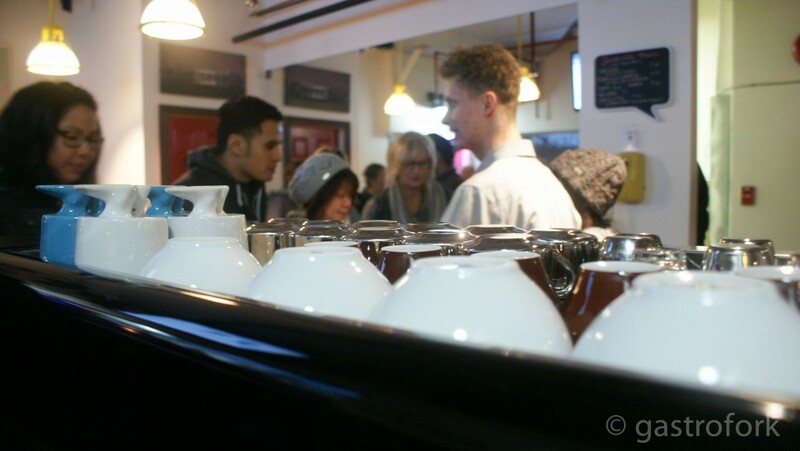 Here they were serving either the Rio Chiquito coffee from Columbia or the Kanzu coffee from Rwanda. Both coffees are roasted by Elysian Coffee right here in Vancouver. Brian went with the Kanzu and I went with the Rio Chiquito. 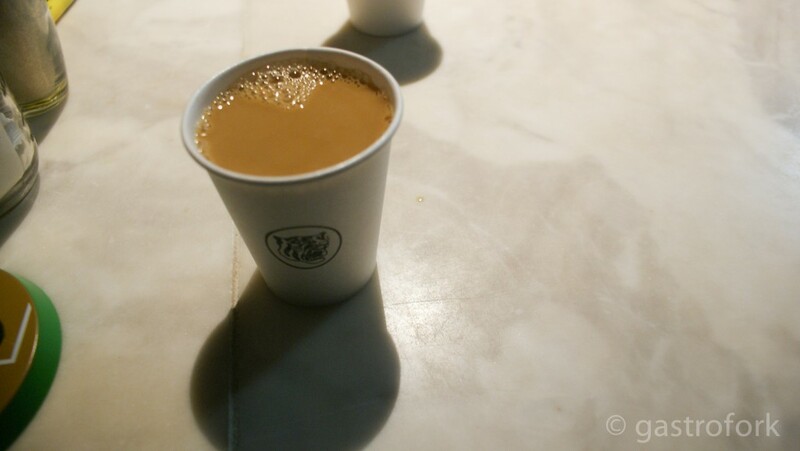 There were a lot of floral and slightly citrusy notes in my coffee, whereas Brian’s was more bolder in taste. 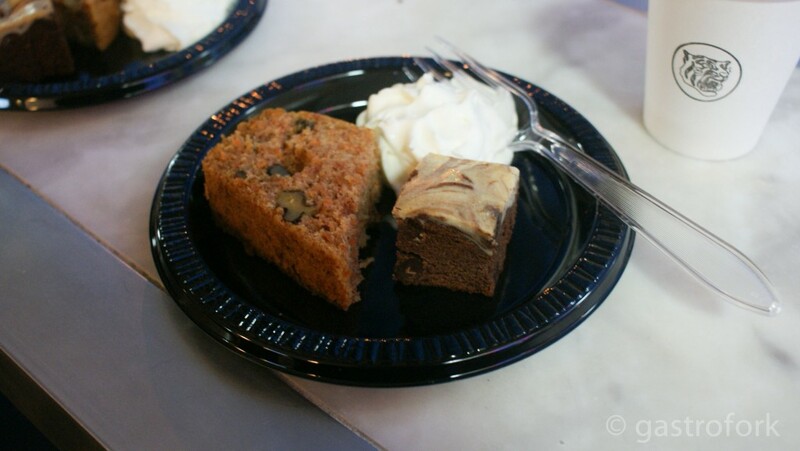 They also served us their famous carrot walnut cinnamon loaf and cream cheese chocolate brownie. Their carrot walnut cinnamon loaf is great, very moist and not too sweet. Next, Sal Y Limon. 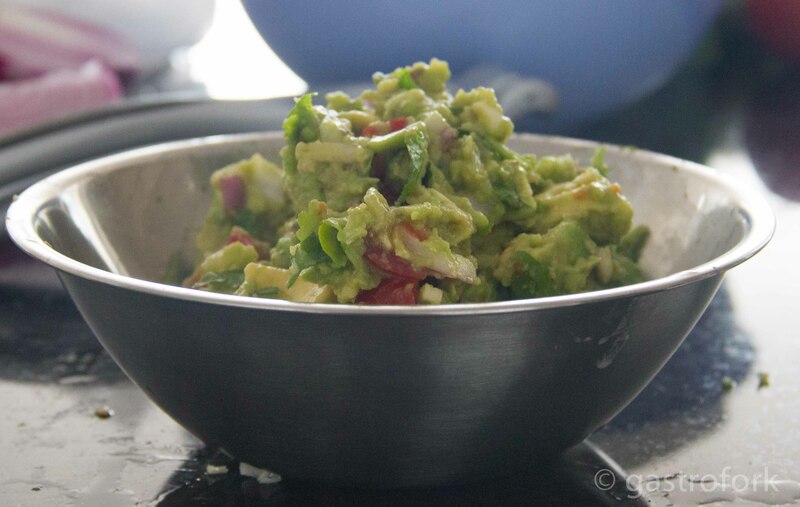 If you haven’t been, I suggest you do – you cant get any more authentic Mexican than this. I am a huge fan of their tacos. Brian went with the pulled pork and I went with the Chicken Pibil. We were joking with the man serving when he asked us what kind of sauce we wanted – I opted for the most spiciest and Brian went for the mild – he thought it was amusing that we were so contrasted in terms of taste! 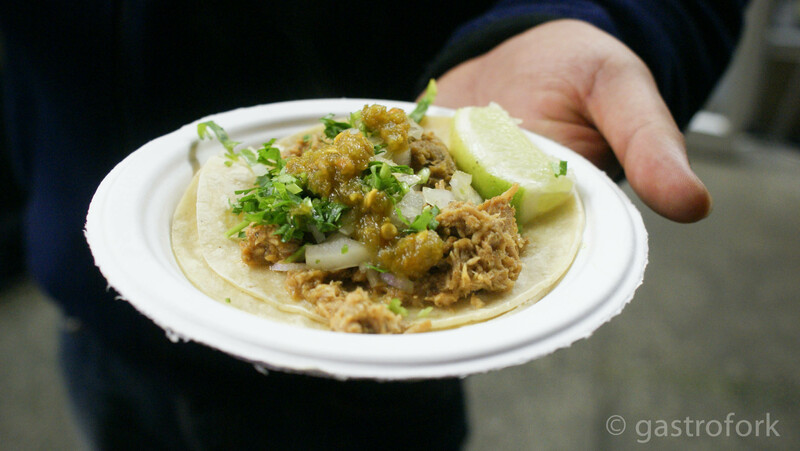 Although a word of warning, spicy is definitely spicy at Sal Y Limon, so if you’re a spice lover like me – you’ll be in heaven. Finally, we finished the evening off with Kilimanjaro Snack House. We were so full at this point and they had a lot to offer! 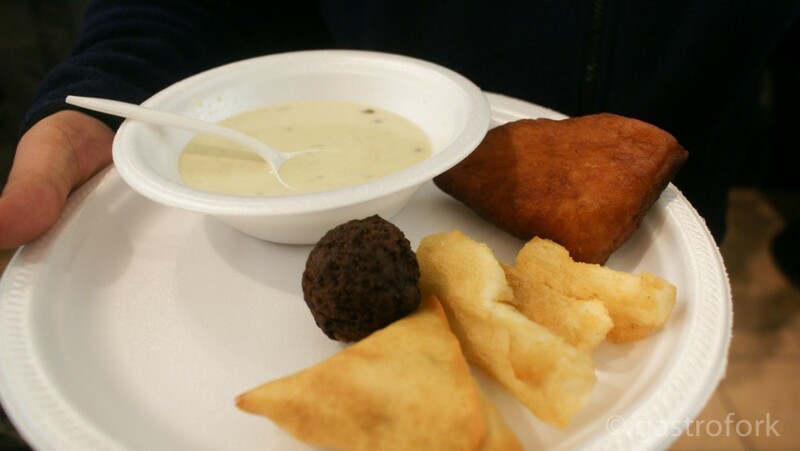 First off, their Barazi and Mandazi, East African Pigeon Pea curry with coconut milk served with cardamom donuts. I loved the taste of the curry mixed with the slightly greasy and sweet donut. It made for a perfect flavour combination. We also had fried beef kebabs, samosas and fried cassava. I was so full, I brought the kebab and samosa home. I am a big fan of Cassava and I just had to eat them right away. So good. More information can be found on VancouverFoodster.com!